Saturday June 8th 2019. Event is held at Hoffer Park in Middletown PA. Train rides benefit Vickie's Angel Foundation of New Cumberland PA who gives 100% of all money raised to help families battling cancer by helping to pay their bills. In the last 10 years, we have raised over $55,000.00 Train rides are 10am to 4pm and operate every 1/2 hour. Tickets are available day of the event at the ticket tent next to Hoffer Park. Tickets are $8 each and kids 5 and under are $4 each. After your train ride, enjoy the Annual Middletown Arts & Craft Fair in Hoffer Park next to the railroad tracks. 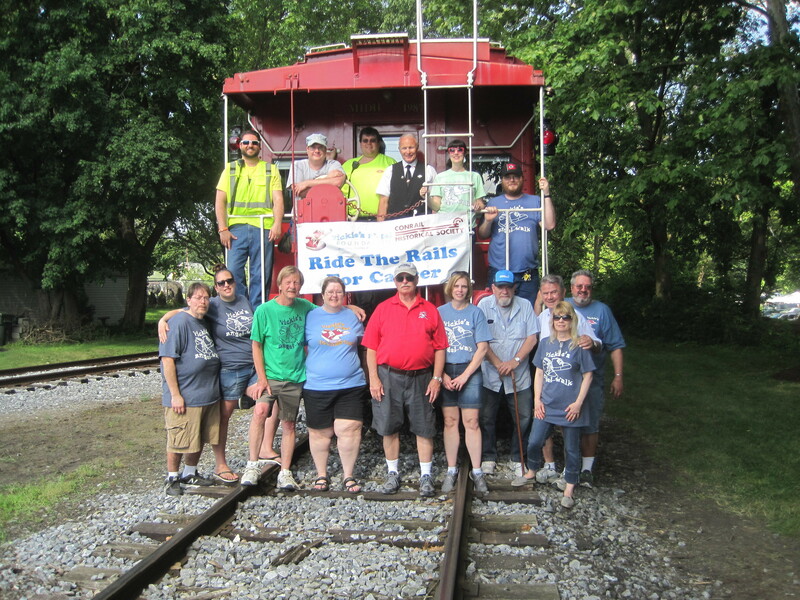 Special thanks in advance to all the volunteers and our host railroad the Middletown & Hummelstown Railroad and to everyone who came out to ride the train and support local cancer families.